RocketChairs is free of charge for private users. Easily create rooms with accurate measurements. Add doors, windows, floors etc. Decorate your rooms with your favorite furniture in 3D. Customize upholstery and colours. 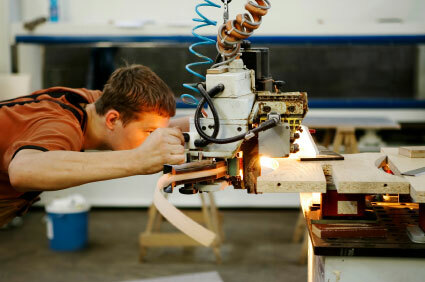 Save your projects online for later use or share with your friends and family. Take snapshots and create slideshows. Use RocketChairs to service your customers. Help your customers make better decisions while decorating using RocketChairs software. Get visual feedback in 3D when designing, changing colours, uphostery and more. E-mail or print out the qoute instantly. Present only the furniture you are selling in your store. Make RocketChairs your own - create a custom skin with your colours and logos. Manage furniture, variations and stock from administration module. Generate qoutes on the fly for your customers. Tailored sales and marketing solution. RocketChairs can be used widely in sales and distribution. It is a powerfull quotation tool for streamlining sales. Let furniture stores and home-users decorate with your products. Use RocketChairs as your primary sales platform for both internal and external sales, shops and private users. Furniture based on 3D scanning to maximize visual quality and accuracy within RocketChairs. High resolution tilable textures are used for realistic furniture representation. Restless API for data synchronization. Full control of materials and product variations, default upholstery, listing order, pricing, localization and more. We have the most flexible solution regarding scalability and costs combined with outstanding image quality. When the preparation of your 3D data is completed our system lets you choose as many camera views as you like, interactively within any web browser. Customize your furniture by combining materials and upholstery online within the furniture administration or communicate from an existing system using our API. We deliver as many renderings as you can imagine, no limitations! RocketChairs is production proven with a delivery of 500.000+ images. Implement the images on your website or use our out-of-the-box end-user interface. When RocketChairs create 3D furniture files, they will be stored in various file formats and qualities. We can integrate files for architects and designers as a part of the solution. These files will become downloadable directly from the manufaturers website. 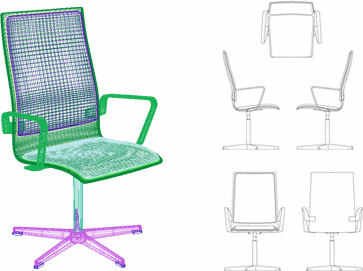 We deliver 3D files as polygonal models in .DWG, .3DS, .OBJ, .MAX and 2D files as .DWG, .DXF (and more upon request).